This post is sponsored by Campbell Soup Company. I make an effort to live heart-healthy every day. After all, heart disease continues to be the leading cause of death in women in the United States, killing approximately one woman every minute. A heart-breaking statistic. A healthy diet and lifestyle are the best weapons in the fight against it! Get your blood pressure, cholesterol and glucose checked. Incorporate more movement into your life. Just a few minutes a day is enough! Make heart-healthy food choices – consuming lots of fruits and vegetables, limiting fat and sodium intake, and cooking with healthier ingredients makes a huge difference! Speaking of healthy ingredients, as part of their continued support of the American Heart Association, Campbell Soup Company is dedicated to helping women care for their hearts by providing a huge variety of delicious, heart-healthy foods and recipes that balance great taste with nutritional value – just look for the American Heart Association’s heart check mark! Certified Campbell’s products include Healthy Request® soups, V8 beverages, Prego pasta sauces and Pepperidge Farm whole-grain breads. There’s nothing more comforting on a cold, snowy day than a big bowl of soup! My favorite variety of Campbell’s Healthy Request® Condensed Soups is the Homestyle Harvest Tomato with Basil. Though I used to eat it with a grilled cheese sandwich, these days a big salad is a better choice. It’s delicious and easy-to-make Campbell’s products like this that make it easy to incorporate heart-healthy foods and recipes into our daily lives. 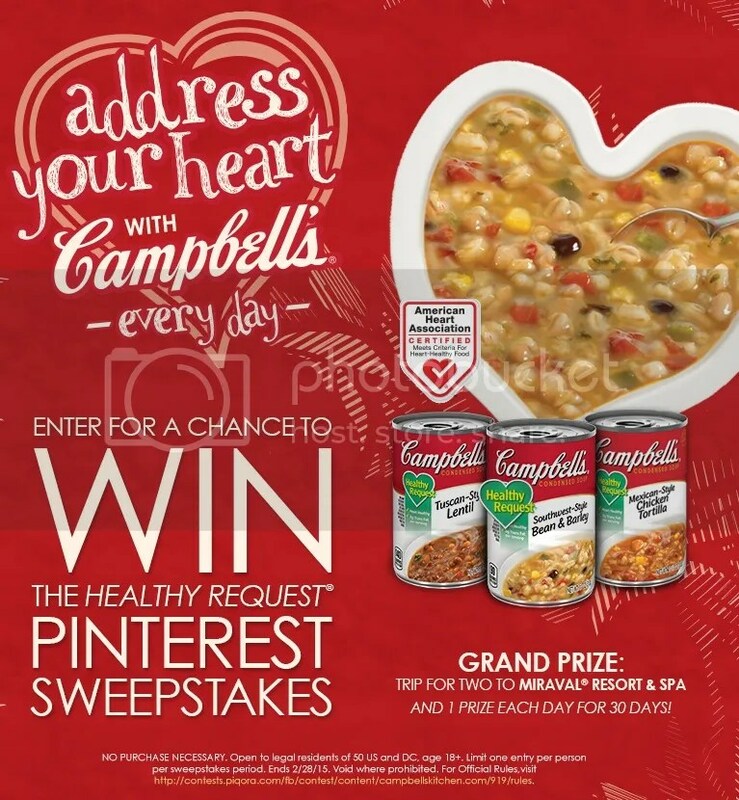 Campbell Soup Company has a wonderful sweepstakes going on right now to encourage women to take small steps towards making heart-healthy lifestyle choices every day. Throughout the month of February – American Heart Month – participate in the Address Your Heart with Campbell’s Pinterest sweepstakes for the chance to win a variety of daily prizes – from heart-healthy products to bakeware and kitchen tools. These daily prizes total more than $100 each, including a grand prize trip for two to the luxurious Miraval Resort and Spa in Tucson, AZ. 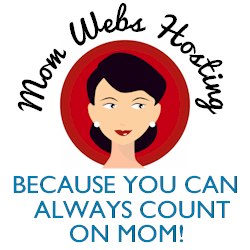 To enter the sweeps, visit www.addressyourheart.com, complete a simple entry form and click “submit.” – that’s it! No purchase or pinning necessary. That said, definitely take the time to follow @CampbellKitchen on Pinterest and pin your favorite recipes with inspiration from the Campbell’s Address Your Heart Pinterest board. There are some good ones! I grew up on Campbells. I love it and am having a can of their delicious Tomato soup tonight. I’ll have to try some more of the healthy request soups. I love a nice bowl of soup for dinner. I’m glad you find Campbell’s to be so delicious and nutritious. Soup is a popular meal in the wintertime. Oh we love Campbell soups, my favorite is the creamy tomato one. I love to add some sour cream and shredded cheese! I do love a bowl of Campbell and I think we are all to quick to forget how important our heart is. I love Campbell’s soups a lot, big fan of their tomato soup; I ate that a lot! My all time favorite soup from Campbell’s is the tomato. Their headquarters is near us. I love Campbell’s, especially the tomato soup. So good! I love soup, any kind. Grew up on Cambells. They’ve come a long way. Keeping a healthy heart is super important. I am glad to see such healthy options on the market. This is great! We love Campbell’s, it’s a true and great brand we’ve trusted in my house since I can remember. All of this is so important! I really like soups from scratch. I am not a big cook but I am really good at cooking soup. Definitely need a vacation. I haven’t had Campbell’s in a while, and I just don’t know why not. I used to have it all the time. I’d like to go to that spa in Arizona. 🙂 Campbell’s is my go-to soup. If I’m not making homemade, it’s the kind I most prefer. That tomato soup looks really good. I love Campbell’s soup on a cold day. I love Campbell soup. It is fantastic on its own or to cook with. I love that these soups are good for your health. It’s nice to know that there are still foods that are good for you. Heart disease runs in my family so I applaud Campbell’s for this amazing campaign.